How Do Free Conference Call Companies Make Money? Ever wonder how free conference call companies can offer their services without charging customers? It actually dates back to regulations and fees that were put in place when the parent Bell Company was forced to break up. Smaller phone companies entered the mix of phone service providers. Realizing that there were higher costs associated with serving rural areas (lower call volume, while still needing as much or more equipment), higher fees were paid to calls ending in rural areas. When looking for ways to maximize revenue, rural carriers realized that if they could attract companies with high call volume to their area, they could collect more in fees. Businesses offering these types of services often agree to split a portion of the revenue collected by the rural carrier as an incentive to set up shop in the area. The business can then offer a free service to customers, such as a conference call line, while still making money. But, the large phone carriers are unhappy about this situation, in large part because they often get saddled with the fees. 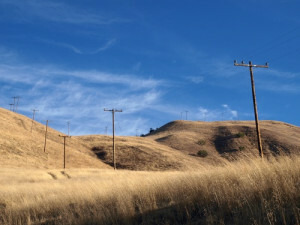 Since most phone users have inclusive phone plans that cover a certain number of nationwide minutes, the large phone company has to pay for the additional fees to rural companies out of pocket. This amount adds up to millions upon millions of dollars per year. Larger phone services have tried blocking calls to areas known for “traffic pumping.” However, the court system has said that they cannot deny access to rural phone numbers. Losing large amounts of money doesn’t appeal to the large companies or the rural carriers, so the legal battles continue. Numerous large phone carriers now have warning messages that alert callers to potential traffic pumping situations. Even though the larger companies are forbidden from blocking calls to these areas, you may notice an increase in the dropped call rate or receive complaints from clients who have difficulty reconnecting on the free conference call line. If you are a small business that is depending on a free conference call service, you may want to start looking for a paid provider. The days of free conference calls could be coming to an end in the very near future. This entry was posted in Small Business by Jim Li. Bookmark the permalink.